Today is Monday, the beginning of a new week. Tomorrow, we welcome in the new month of July, the zenith of summer. We are also in the midst of new moon energy as we bask under the thinly slivered moon that will grow bright and full with each passing day. I like to think of the new moon as a celestial pregnancy, like a developing belly, filling with the light of our wishes and dreams until it becomes full and brimming with new possibility. All this to say, it is a wonderful time to start anew, refresh, recalibrate, refocus and create our heart’s desires! One of my favorite ways of beginning anything new is with a centering meditation, especially since we are in the midst of Monday’s bustling energy. It is important to lay the foundation of our inspiring efforts from a place of natural order and balance, with a crystal clear sense of our innate spiritual Selves. It can be challenging to take time out to create what we want in life, to think about positive out-of-the-box ideas, to refresh and stir up creative juices if we are knocked off kilter in busyness or worry, muddled in too much work, if we are not in a mentally, physically or spiritually balanced state. BALANCE is one of my favorite words. Everything in BALANCE, my dears, everything in perfect BALANCE. The following YouTube yantra meditation is one I enjoy doing often. The vibration of the musical tones and chants coupled with the cosmic, kaleidoscope-like images is enough to place anyone in a meditative state. 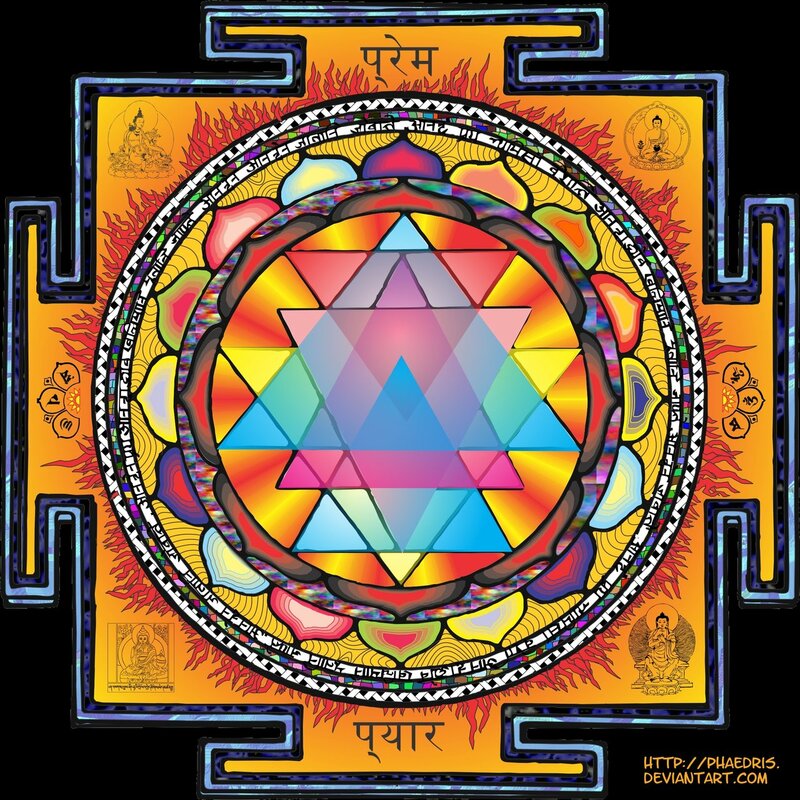 Yantra (यन्त्र) is the Sanskrit word for instrument as in geometric symbols, patterns and processes. This is a good 20 minute meditation. I recommended taking a time out from whatever it is you are doing and listen, allowing your body to sink into the sounds, to relax, quiet, calm and harmonize with the frequency of this deep meditation. If this video resonates with your soul as it does mine, watch it often. Listen to it daily if you wish; start your day with it, set intentions with it, re-attune yourself with it. Turn up the volume and return to your center, to who you really are, to your higher Self and consciousness. Start now.